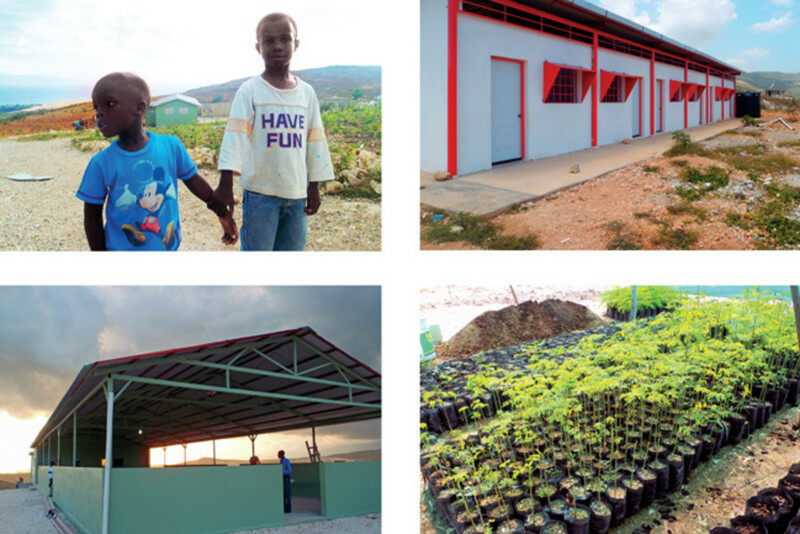 PSU architechs turn a Haitian orphanage into an eco-design case study. Far from bioswales, rooftop windmills, and mandatory composting, Haiti’s Montesinos orphanage and school might still be seen as a little piece of Portland. Over the past three years, Portland State University students terraced and planted 22 barren acres, seeded organic farming, and built a water system—all expressions of the sustainable know-how that is Portland’s calling card in the design world. Will there be food carts? Quite possibly. Sergio Palleroni, the director of PSU’s Center for Public Interest Design, sees the project as part of a larger effort to export green building to where it’s necessary, not merely cool. Palleroni’s team of 46 PSU students (mostly in architecture, with some studying urban studies and engineering) designed and built two housing complexes, an eating hall, an industrial kitchen, and an eight-classroom school complete with a library. (The Portlanders collaborated with international organizations and businesses on the $1.3 million project.) This month, a Portland contingent returns to build out a pair of lushly planted courtyards and prepare for what comes next.